What Are the Average Recovery Insurance Rates? Anyone starting a vehicle recovery business needs to get business insurance to protect their company from unforeseen accidents on the road or in their lots. It’s important to find the lowest rates possible since this will be a recurring expense for your business. 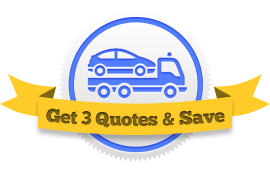 The best way to get a good rate on recovery insurance is to compare quotes from mulitple insurance companies. This can be a pain, seeing as how good recovery insurance companies are hard to come by. That’s why we’ve set up this easy form, which connects you with three recovery insurance agents at once. The agents compete for your business by offering you the lowest rates they can find. You pick the insurance that best suits your business, which saves you money. How much is the average recovery insurance rate? How are you supposed to know if you’re getting a good deal or not? It can be tricky. Since the vehicle recovery industry covers such a wide range of niche businesses, it’s tough to nail down an average price. If you do general towing and recovery, expect to pay between $3,000 and $5,000 per truck. If you’re an auto repair shop or body shop, expect to pay between $4,500 and $13,500 a year, or $6,500 on average. If you do roadside assistance, expect to pay between $8,000 and $15,000 for one truck. If you do repossesion, expect to pay about $10,500. The best way to avoid rate increases is to run a safe workplace. Research safety programs for your area and have your employees take part in training programs. There are businesses that have frequent accidents and businesses that rarely have accidents—guess which ones pay less for insurance. Don’t sign up for the first insurance policy that you’re offered. Shop around and see if you can do better. Recovery businesses that compare at least three agents before signing up for a policy save 10% on average. Insurance companies like to increase rates year by year. If you’re constantly on the look-out for better deals, your insurance premiums won’t creep up as time goes by.